Getting higher education in the US is useful for those who are planning to immigrate to this country, and for those who want to apply their knowledge in their homeland. However, studying at an American university is not cheap. Therefore, if the option of obtaining an education on credit is not suitable, it is worth looking for a scholarship or a grant. Despite the variety of scholarships for foreign students in the US, the Fulbright Foreign Student Program has been and remains the best of its kind. It is explained very simply – it covers the maximum of expenses and requires a minimum of funds at the stage of filing an application. In short, to get an education in the US absolutely for free, the Fulbright program is the best, and perhaps the only, option. But is it so good for potential immigrants? participation in the competition. One of the prerequisites for taking part in the competition is passing the TOEFL. This exam is paid, its cost varies from year to year and is currently $ 255. The Foundation pays travel participants to the venue of the TOEFL, the exam itself, and, if necessary, a hotel. That’s great rarity. fare. The grant holder will be paid two routes: from his native city to the American university and back. If during the training the student suddenly decides to visit the family, he will have to pay for the trip himself. training in an American university. In the US, there are no budget places, and higher education is paid on any profile. Most scholarships provided by various universities cover only a portion of the annual tuition fee. Fulbrightov also receives a one hundred percent payment for his higher education. a monthly stipend, which varies from 2500 to 2900 dollars, depending on the state. It’s not bad even by American standards. limited medical insurance, which covers certain types of medical expenses. A suspicious person will invariably ask: why do they need it? Why should the US government allocate a large amount of money for the training of foreigners? The concept of the Fulbright program is based on such concepts as “multiculturalism”, “tolerance”, “cooperation” and the like. In other words, the task of the program is to educate professionals who are loyal to the US, and with pro-American views in general. At the same time, the program is reliably protected from overly “loyal” Fulbright students who do not want to return to their native lands: each student receives a J-1 visa, which obliges him to leave the US after completing his studies and not to return to the country for two years. People who have a residence permit in the United States, and can not take part in the program at all. The Fulbright Foundation implements several programs aimed at people with different levels and profiles of education: scientists, artists, English teachers and so on. Grants are provided under these programs, for example, for scientific research or internships. This article, in particular, deals with the Visiting Graduate Student Program (VGS) program, which can result in a master’s degree in one of the American universities after a maximum of two years of study. The length of the training depends on the institution and the chosen program. Members of the program can become citizens of their country who permanently reside on its territory, that is, for the whole year before the last day of filing applications (as a rule, this is May 15) they should have been in the country for at least 6 months. Each applicant must have a diploma of higher education of a specialist, master’s or bachelor’s degree. But you can apply and being a student of the last course, if you provide an appropriate reference to this. Also, people who graduated from the university a few years ago can take part in the program if they are not yet 30 years old, and provided they did not manage to defend their thesis. And of course, every contestant must confirm the knowledge of English by successfully passing the TOEFL iBT (Internet Based Test). “Technicians”, as well as those who chose creative directions or natural sciences, have enough 80 points for the test, but from the humanities (lawyers, journalists, linguists) are expected not less than 100 points out of 120 possible. Is it worth saying that this is a very serious level? For comparison: the TOEFL passing score at Harvard is 109. The pleasant moment is that after 2 months after the start of studies in the US, a participant in the program can invite a spouse and children. They will receive free visas, and if they live long enough, they will partially cover medical insurance. The remaining expenses associated with their arrival and residence, will have to be paid independently. It should be borne in mind that participation in the Fulbright grant competition requires serious preparation. On May 15 of this year, applications for training are being completed, which will begin only in the autumn of next year. Thus, this event is with a certain perspective and it is aimed at those who have clear ideas about their plans for the next few years. Do not forget about testing in English. TOEFL – not the exam, which is passed for one night. Even the greatest luck here will not help. Therefore, it is necessary to start working on your English long before submitting an application for the competition. Participants can choose to study the discipline only from a list approved by the program. True, the list is rather large and consists primarily of general disciplines, so almost any specialist can choose something close to him. Which, incidentally, is not necessary. It is believed that the applicant for a grant can choose even a distance from his specialty in the diploma direction, but in reality it is not quite so. To qualify for the study of any discipline, you need not just explain your desire for spiritual inclination, but also prove that by returning to a free country you can bring concrete benefits to your region. Obviously, people with the already existing experience of training and working in the area in which they want to receive a grant are more likely than spontaneous beginners. In other words, if you previously studied literature, you should not apply for physics. In the first round, participants must provide a set of documents. Some of them are submitted electronically, some should be sent by mail or carried to the office of the fund’s representative office, one application is filled online. All this is described in detail on the official website, there you can also download electronic forms. The essay deserves special attention. You will have to write two. One is called “Personal Statement” and displays, in fact, your life position, and the second, “Study Objective”, should tell you about the chosen discipline and educational tasks that you set for yourself. Do not underestimate the essay. Of course, you need to have wonderful notes, published articles, recommendations from prominent scientists, but with a bad essay, all this will not make a proper impression on the commission. It remains only to find out that the Americans have a “good essay.” Most importantly, it should not be dry and boring, but just the opposite. The essay should be interesting from the first word, be bright and partly provocative. This is the only chance in the first round to show oneself as a person. At the same time, the essay should not contain bare emotions, it is necessary to explain competently and consistently its motivation, to show its advantages to applicants for a grant. In the network there are examples of essay winners, we recommend that you familiarize yourself with them. Applicants who passed into the second round are invited to an interview. During the interview, which is conducted in English, the members of the commission can ask absolutely any questions, so it is impossible to properly prepare for it. Good spoken English and an understanding of the chosen discipline is the key to success. The participants of the second round must pass the TOEFL, which was already mentioned above, and the GRE test, which tests the language, mathematical and analytical knowledge of the contestant. The first exam is absolutely everything, the need for a second depends on the chosen specialty – this question needs to be clarified directly from the organizers. The third round passes in absentia. Members of the commission select the best among those who have been interviewed and notify the winners. This happens around the end of September or early October. Participation in this competition is a troublesome and expensive event, if not in the material, then in the moral sense, exactly. The saddest thing is that, even having received a cherished letter about the successful passage of the last round, it’s too early to rejoice. And that’s why. First, receiving a Fulbright grant does not guarantee admission to an American university. The Institute of International Education, to which the organizers of the contest pass the questionnaires of the winners, only sends out applications to suitable educational institutions, in their opinion, where they go within the general competition. If you won a grant, but did not go to any university, the first becomes a meaningless victory. Secondly, the winners can not choose the university. That is, in the questionnaire, of course, you can indicate the desired educational institution, and with a lucky coincidence, this wish will be taken into account, but the probability of such an outcome is not high. It’s better not to dream of Harvard and Yale. Critics of the program often point out among the shortcomings that the scholars are sent to provincial educational institutions, the demand for which among Americans is not very high. Thirdly, there is always the possibility of getting a visa refusal. In this case, the participant automatically loses the grant. 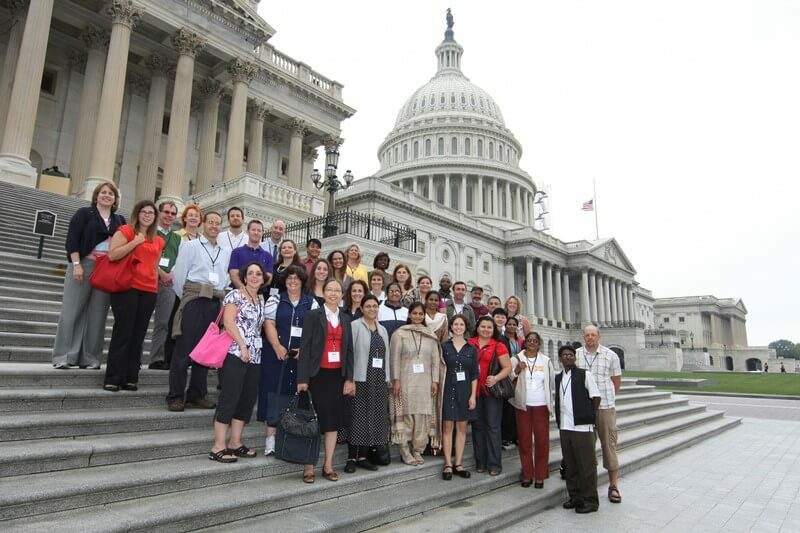 Thus, the Fulbright program is an opportunity to study in the US with minimal monetary costs. In case of a victory, the participant receives a free flight, free education, and even a scholarship – an unprecedented practice for the United States and Europe, where scholarships usually cover only a part of tuition fees (actually tuition fees). At the same time, receiving a grant does not guarantee admission to a good institution of higher learning, and even admission in general. In addition, the Fullerite will not be able to enter the United States for 2 years after graduation, which makes the program not suitable for emigration.